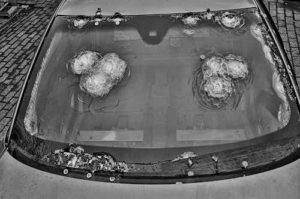 High quality bulletproof glass is essential to any armoured car. Our glass uses advanced technology to offer optimal protection from outside blows or attacks with fire arms. It also creates an atmosphere of serenity in the vehicle, due to its strong noise reducing qualities. It stands to reason that we have given the necessary attention to the looks of your car. Our protective glass looks just like a normal car window. From the outside it is near to impossible to see that the glass is actually bulletproof. Apart from bulletproof glass, Van Berkel® also provides other types of safety glass. We are happy to inform you on our different types of glass. Please contact us if you are interested. We have a unique lightweight armour that we developed in-house. It is unique because of it’s weight or the lack thereof. We like to call our armour the lightweight champion in a heavy-weight category. The vehicle keeps its manoeuvrability and its driving quality, which is important when you need speed as well as protection. We guarantee ‘Zero Hole Security’ for the vehicle, down to the smallest details. And our armour is practically invisible from the outside or the interior. Would you like to know more about our armour and its possibilities? Please contact the experts at Van Berkel®. A Runflat system is part of a vehicle’s armour. It is recommended for ensuring the complete safety of the vehicle. The Runflat system ensures that a driver can continue driving without running off the road after taking bullets or other damage to the tires. Fitting our Runflat system on your vehicle will not affect the driving quality. U can reuse runflats when you replace your tires. Unfortunately vehicle break ins and smashed car windows are everyday’s business. When you fit your car windows with a protective layer, you are safe from physical violence coming from outside. It also protects your things when you are not in the car. We fit the layer on the inside of your original car windows to make sure that breaking glass never reaches the inside of your car. The protective layer also makes it harder to break in. A standard life hammer can be used from the inside to create an escape route in the case of an emergency. A trunk lock is a welcome addition to your armoured car. But you can order one separately as well. A trunk lock is a great safety precaution, especially when you frequently travel with valuable documents or property. The trunk lock system (consists of two heavy pins) is completely separated from the original lock. 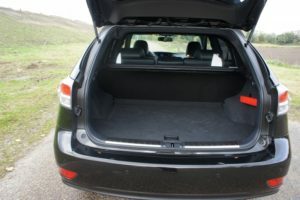 The only way to open the trunk is to enter a custom code into a digital code panel that can be fitted anywhere in the car. In short: a trunk lock system puts your mind at ease. All your valuables are stored as safely as possible. You do not have to worry as you leave your vehicle for your next appointment. Van Berkel® specializes in applying all the electronic accessories that you can imagine. We install equipment concerning advanced communication, vehicle tracking, video surveillance, trunk lock systems and optical or acoustic signals. Electronics always require an individual approach that suits your wishes and needs. We would be happy to tell you about all the possibilities in an introductory meeting. No strings attached. 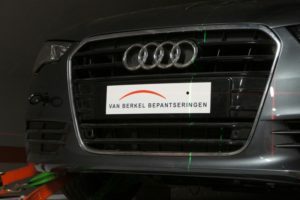 The vehicles that Van Berkel® supplies for government and commercial parties are top of their class when it comes to armouring, combined with the latest in car technology. The list of vehicles is lead by cars built in Germany under the brands BMW and Audi. International and national police forces use these two ‘hard workers’ for good reason, but Sweden also plays a significant role. 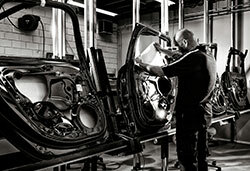 Volvo is a well-respected brand and partner, whom we welcome to our factory in the Netherlands. All three brands come with their own image and identity and all are well suited for armouring. Whether it is speed, electronics or safety, these vehicles hold the latest technology. And this technology will remain fully functional after armouring. 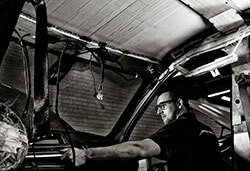 All mentioned vehicles are custom made from over 300 parts that we have available on demand for all types of vehicles. Our armour does not affect power and driving quality, because the vehicle’s weight only increases a few hundred kilos and the car will look just like a normal car to outsiders. Our armour provides special forces with the crucial protection on which they depend in crisis situations. The vehicles are armoured according to norm BRV2009 on a VR4 level. They are consequently tested according to the norm by TNO Balistics Research Center in Rijswijk, the Netherlands. That we are able to produce vehicles according to this norm is unique in Europe. The norm is there to assure our customers that they buy a quality product. Are you interested in buying one of our vehicles, or armour one of your own? Van Berkel® will be glad to help you.